Hola beauty lovers! For some reason, I'm extra excited to be sharing what product I've been indulgin in for the past two weeks now. 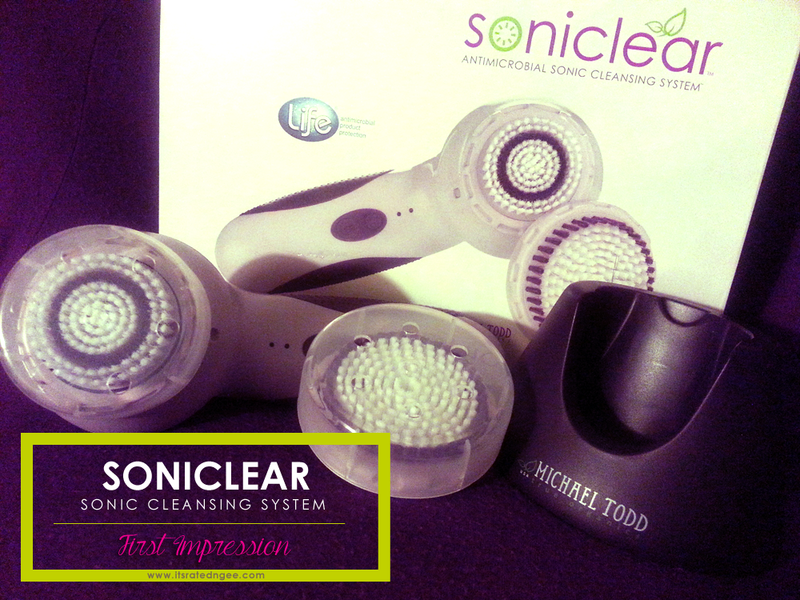 The Soniclear Antimicrobial Sonic Cleansing System by Michael Todd True Organics. The good folks over at Michael Todd allowed me to test this awesome piece of technology for beauty's sake. I must say, I've had my experience with several "brush cleansers" and honestly, the Soniclear has to be the best by far. No...seriously. Attention all fashionable mommies-to-be and lady friends! I have something pretty cool to share with you. So, style should never be compromised or put on hold due to several factors in life. That includes pregnancy. I've been enjoying my pregnancy greatly rocking my 6 inch heels, fitted skirts, and all! 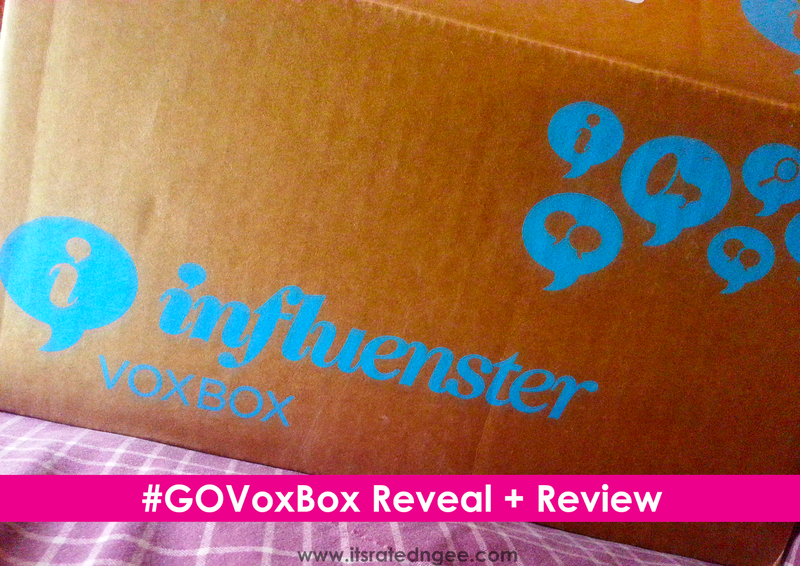 The wonderful folks over at Preggonista sent me something special to share with you fab preggo mamas. I don't know about you but I refused to purchase maternity clothes, lol. I'm 29 weeks and haven't had to purchase any tops, bottoms, or anything aside from bras and undies. My lovely lady humps are starting to thicken up. YES!! Luckily, I keep several tunics and such that now simply accentuate my belly curves. Besides, most maternity fashions you find in stores are very boring and mute. Many ladies love switching up their style, the same way they probably do their wardrobe. I recently colored my younger sisters' hair again for a third time. This time, using Dark and Lovely Fade Resistant Permanent Color in #379 Golden Bronze. 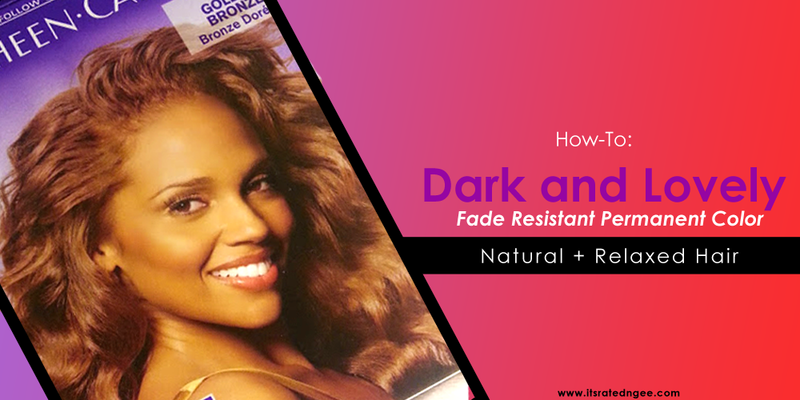 For those of you, natural or relaxed, and want to see how this DIY at home brand works on hair, read on to check out the before and after of this product. Note that my sister is predominately relaxed but her new darker new-growth is 100% virgin natural. Okay... so my title may have caught many of you off guard so just in case you didn't know, YES, I am expecting. First-time mom here. It's super exciting if I say so myself. The hubby and I found out officially back in February when we visited the Atlanta Care Center. Oh boy! I must admit, finding out I was pregnant was a shocker. I always thought I'd be the LAST of the women in my family to produce lol. Seriously! But I guess someone has other plans for me. Needless to say that I am enjoying the feeling of preparing for motherhood. It's an unexplainable feeling indeed carrying a small human that kicks and does cartwheels all day everyday. I love it!